If you happen to have friends who despise having to wear clunky or boxy looking Bluetooth headsets that doesn't do justice for their fashion sense, then you may want to let them know about some of Novero's fashionable gear. 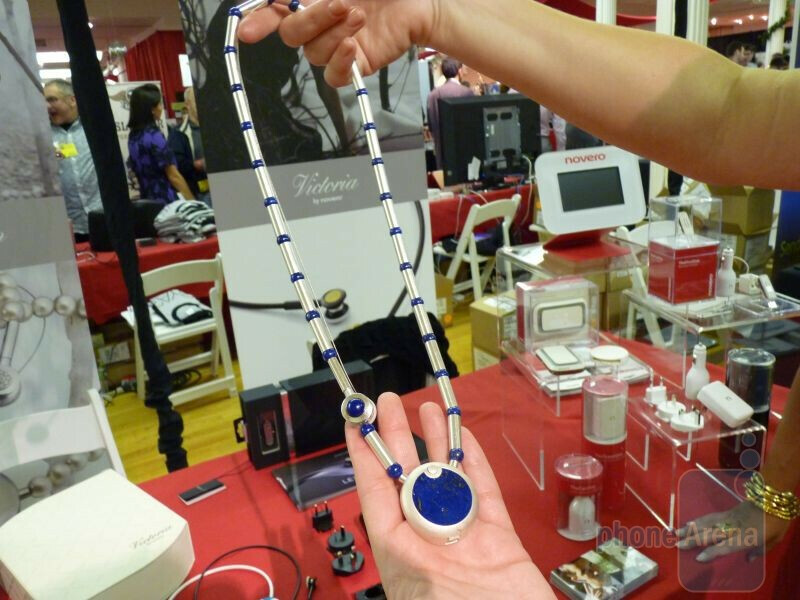 We were able to check out a few of Novero's line of various Bluetooth enabled accessories at Pepcom's Holiday Spectacular event, which of course functions like most out there, but uniquely separates itself due to their luxurious aura. 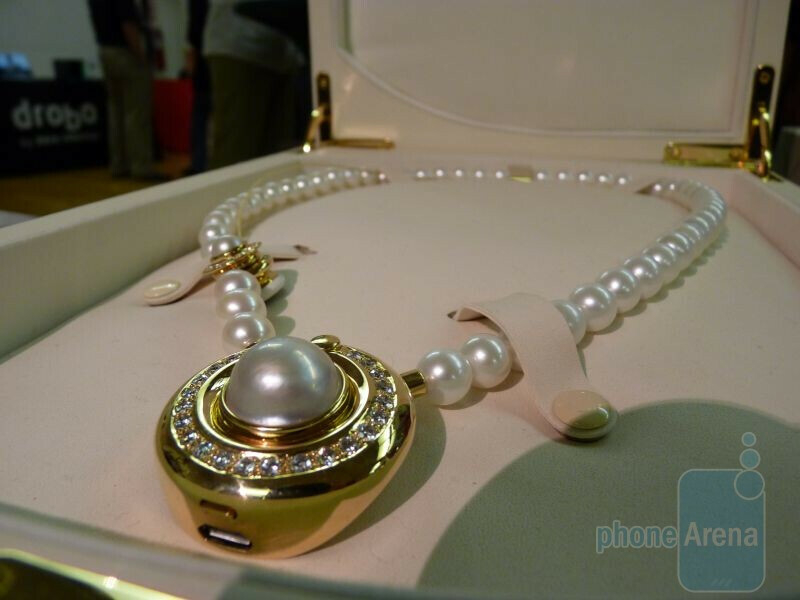 Specifically, we were able to check out their Victoria La Premiere edition Bluetooth headset which retails for about $110,000. 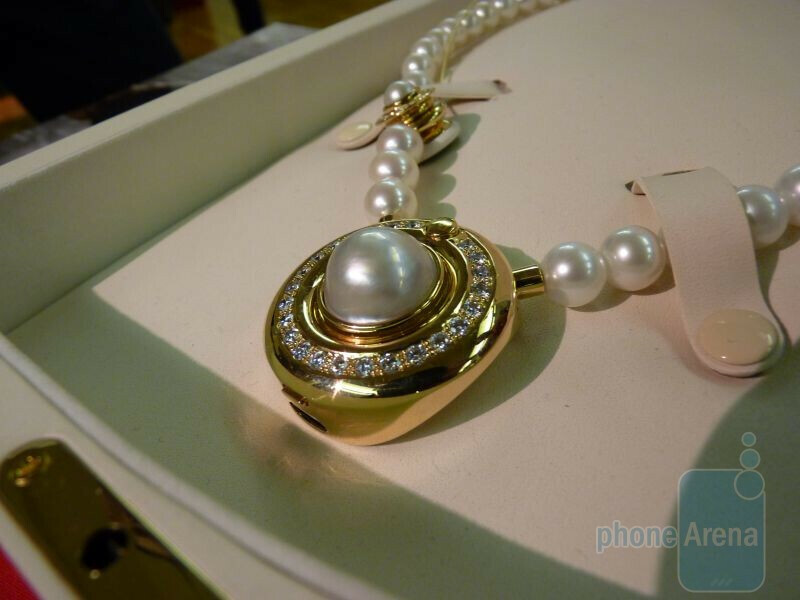 Yeah, it's definitely one pricey device that would require a hefty loan to be taken out, but then again, it's constructed from fine pieces of jewelry that should suffice those who are in touch with fashion – all the while still secretly tucking away their techie side. 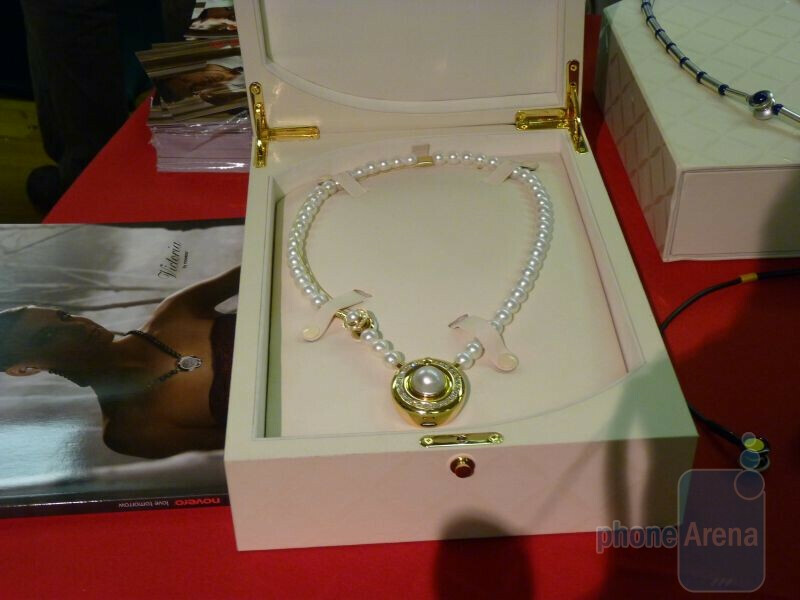 The La Premiere edition is meticulously hand crafted from various fine materials which include pearls, gemstones, and diamonds. 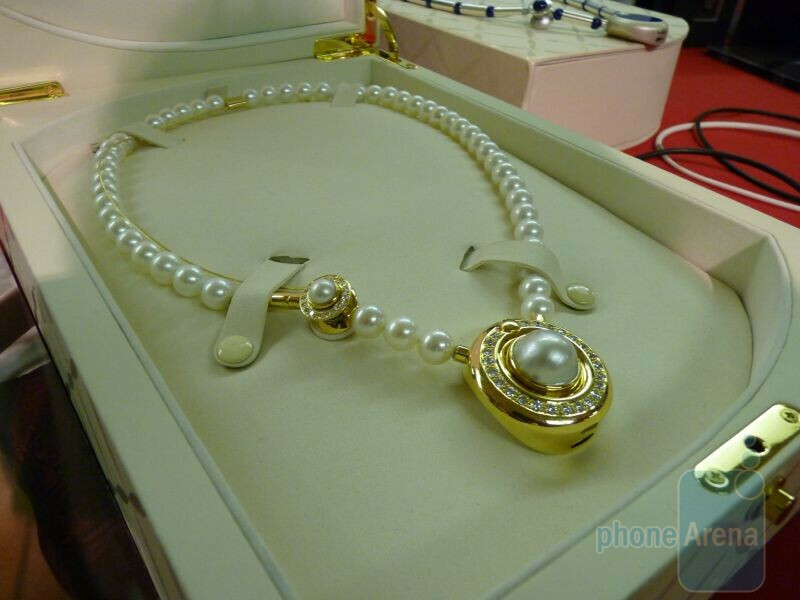 Not only does the diamond encrusted pendant blatantly stand out from a far glance, especially when it radiates luxury, but people will be surprised to find that one end of it will come off and can be used as an earpiece for phone calls. Naturally, the discrete factor is in play with this one, but at the same time, the La Premiere edition won't be available on the shelves of your local electronics or carrier stores. Instead, this one is will become available in select retailers in North America, Europe, and Asia – no word yet on those actual stores though. If the $110,000 price tag of the La Premiere edition scares you, then you may want to look at the slightly more tolerable $1,000 price tag of the Victoria Lapis. 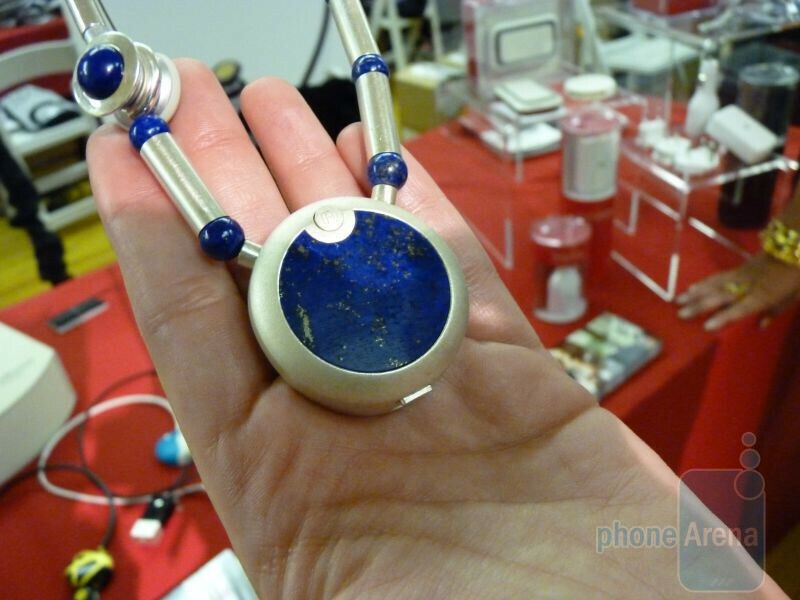 This one though is constructed out of lapis lazuli which is basically an intense stone with an intrinsic shade of blue and highlighted with golden flecks of pyrite. The contemporary design might make it intriguing to more people, but still retains all the functionality you'd expect out of a Bluetooth headset – with a price tag that's better than the La Premiere edition of course, but sadly considered too pricey for the tech savvy people out there. Regardless, this is probably the kind of stuff you should look into if you have a flare for showing off some really expensive bling in the form of a Bluetooth headset. Dont know who would really wear them.. seems/looks kind of silly to me. I am sure there will be knock offs. And they will be just as ugly. This missed the market by a few years... Almost nobody even uses bluetooth headsets anymore. First ladies and hip princesses and dutchesses everywhere can now talk on the phone all day just like everybody else. - fun read! There isn't a woman on the PLANET that would actually wear that! !